To become your best self, it’s likely that at some point you’ll want to develop strong personal growth habits that make it easier for you to live out your values. When you cultivate healthy habits or rituals, you get one step closer to the life that you envision for yourself. I don’t think any of us are under the impression that it doesn’t take any effort to get far in life (even if Instagram makes us question that sometimes.) Healthy habits are one of those things that we know we need to work through to meet our amazing, big dreams. The problem is a lot of us can take habits to the extreme and tend to get hyper-focused on a goal. It’s all or nothing. You need to have the best routine and habits in place, be 100% in, or you won’t do it. Does that sound familiar? Perfectionism is common for a lot of us, especially twenty-somethings. Habits can feel overwhelming when you’re a perfectionist and it can become hard to keep up with. You might have amazing habits in place for a month or two, but you find yourself burnt out after awhile, because you set extremely high expectations for yourself. We’re an affiliate for the Dream Habits course. If you use our link, we’ll receive a commission. We never recommend anything we don’t love. Here are some habit ideas to help you figure out what habits are most important to you. Working through a habit without accountability is hard at first. It’s so much better to do it with a community of people to help you through. There is an amazing Facebook community of people who are working through the same stuff. She has one of the best communities online in my opinion. If you’re hoping to achieve one of the above habits or if you’re struggling to get started, I’ve found the Dream Habit course to be an amazing resource to start with. Through some of Sam’s suggestions, I’m working through waking up an hour earlier. She goes through some of the most common healthy habits like eating healthy, working out, saving money, developing a morning routine, and of course, the one I’m working through: waking up earlier. She provides you with additional resources through the course and she helps you set up a foundation that will help you sustain these habits for a lifetime. I personally believe it’s an investment that keeps on giving. 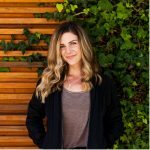 So if you need extra motivation to tackle a habit that you’ve been attempting to work your way through and it’s not happening or you’d like to have a healthier outlook on developing them, check out Sam at SmartTwenties.com‘s course, Dream Habit and join her community of likeminded dreamers. Get more information about dream habits. Let us know in the comments below what habits you’re working on developing!